We love lemons at our house. Anything with that bright, citrus-y scent is amazing! This time, we decided to bring the fun of lemons to a not-so-fun subject: fractions! 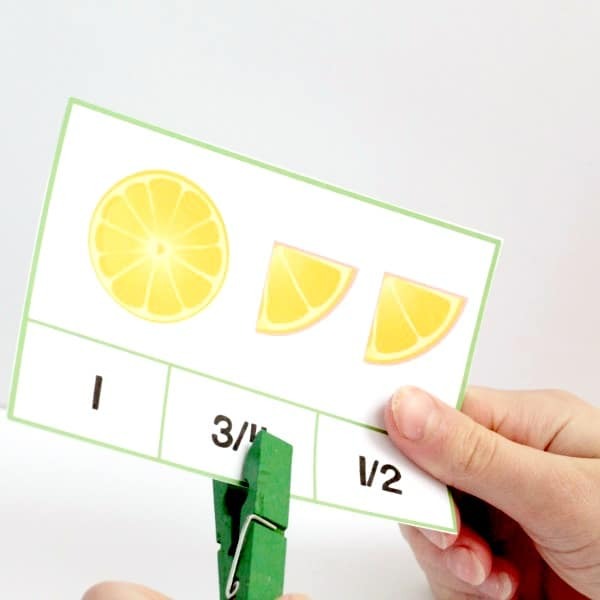 These adorable lemon fraction clip cards are a fun way to introduce fractions to kids between 2nd and 4th grades. Even my fifth grader loved completing the fraction clip card puzzles. We included a mix of lemonade and lemon fruit just because it was more fun! We used this fraction activity in a unit study about lemons and lemonade. This may have been one of our favorite thematic units yet! Download the lemonade fraction cards here. 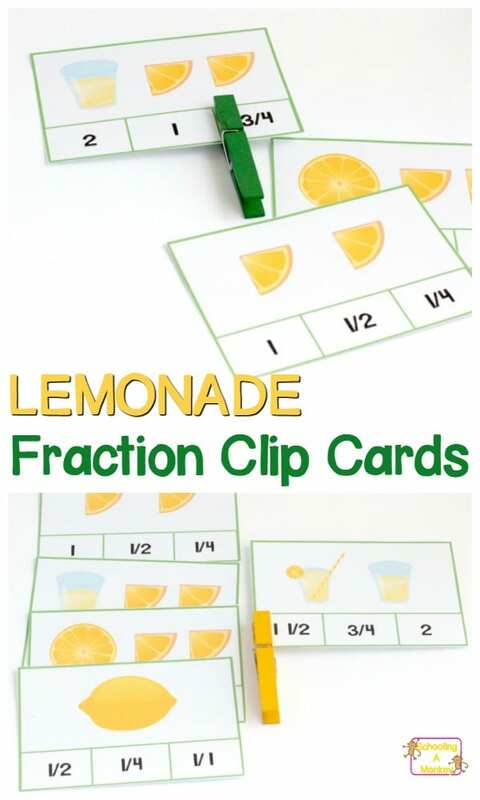 These lemon fraction clip cards are a fun way to practice identifying fractions with elementary-aged kids. 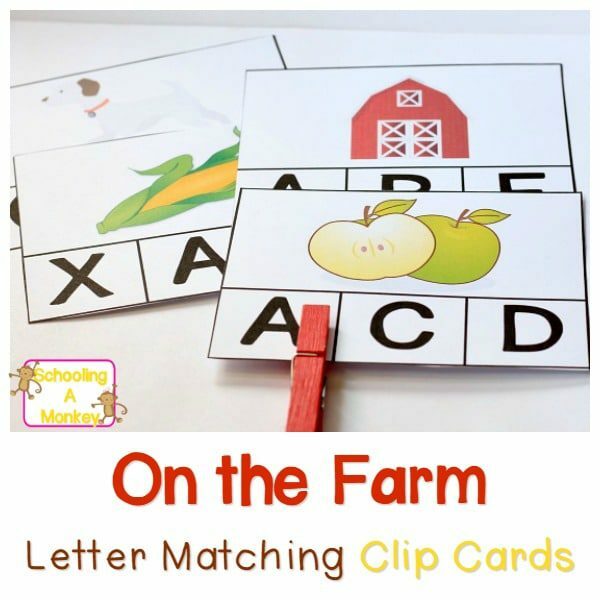 Why let preschoolers have all the clip card fun? 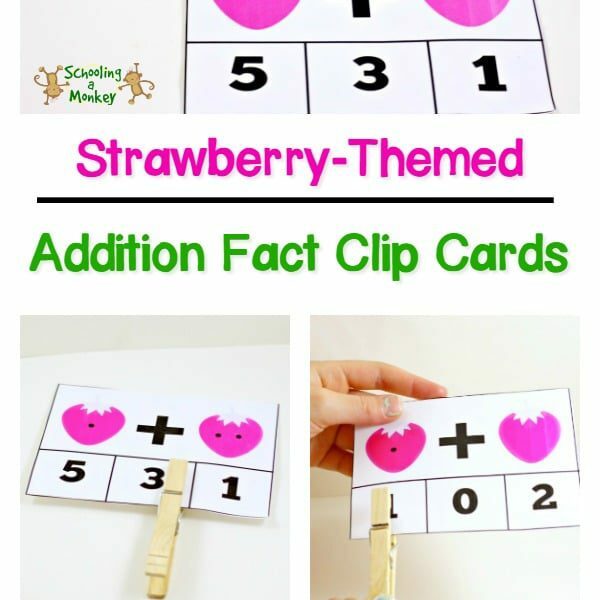 Get the lemonade fraction clip cards here! 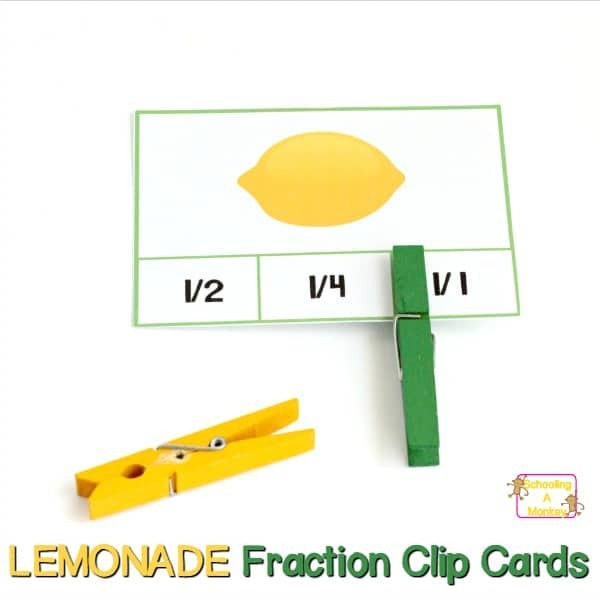 First, download and print the lemon fraction clip cards onto cardstock paper. Cut out the cards. If you like, you can laminate the cards. This will make them more durable, but at the elementary age, leaving them just paper shouldn’t be a problem. 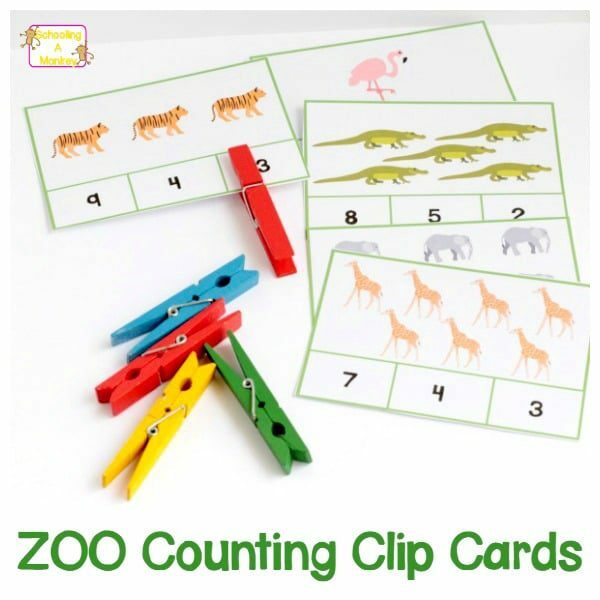 Discuss how fractions work with the kids before giving them the cards. 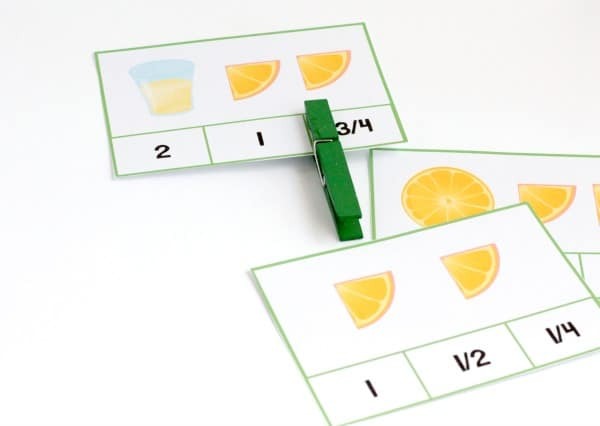 Our cards are a bit tricky because we mix lemonade cups with lemons, so kids have to think just a bit more to get the right answer! All the fractions in this card set are build around quarters and eighths. The cards are designed at about a third grade level. Let the kids clip the clothespin onto the correct answer below the picture. The lemons and lemonade makes fractions so much fun! Use these super-fun learning activities to make your very own lemon/lemonade unit study!